Loated on the fourth row from the beach. NO PETS ALLOWED! The Cypress House has ocean views, located in tranquil Las Conchas. More private than staying at the resorts on Sandy Beach, but with a smattering of beach vendors on busy weekends too. This home has 2 bedrooms and 2 bathrooms and accommodations up to 8 vacationers. The home has beautiful curb appeal, featuring a tan exterior and a ceramic tiled roof. The home has an arched entry with a front courtyard. You have a beautiful view of the ocean and just a short walk or drive down to the beach. When you first walk into the home you will be greeted by the colorful kitchen. The kitchen has ceramic tiled counter tops with a mosaic trim in blue and orange diamond shapes. The kitchen has flat panel maple wood cabinets with stainless steel appliances. The kitchen includes a flat ceramic cook top range, oven, built in microwave, and fridge. The counter top is furnished with a purified drinking water dispenser, coffee maker, toaster, and blender. The cabinets are filled with bowls, plates, cookware and glasses. The kitchen has a small built in counter bar with two maple wood bar stools. The kitchen even has a ceiling fan in case you get hot while preparing a gourmet feast. The living room is furnished with a tan fabric covered sofa that doubles as a bed as well as two brown wicker cushioned arm chairs with a small glass top beverage table between them. There is also a Futon that folds out to make a full size bed on the living room. The room has windows all the way around that illuminate the room with natural light. The dining room has a round maple wood table with a velvet table cloth and seating for 6. The room has a 3 bulb floor lamp and a lighted buffet stand where you can place appetizers. The wall above the buffet stand has a beautiful hand painted floral oil painting. The family room has a southwestern pattern styled printed sofa with a matching oval shaped glass top coffee table and a double door media unit. The top of the media unit is decorated with a hand crafted sailboat and a large TV and DVD player. There is a floor lamp in the corner of the room to light the area in the evenings. The master bedroom has a king size bed with a ceramic tiled head board and silky palm tree bedding. The room has two glass top lighted bed side tables and a lovely matching palm tree printed area rug. The 2ns bedroom has a queen size bed with a ceramic tiled arched head board and matching silky palm tree colored bedding. Each side of the bed has a maple wood nightstand with a blue and yellow reading lamp. The wall above the bed is adorned with a three hand painted colorful parrots. The other side of the room has metal framed day bed which can sleep two additional guests when the bottom portion is pulled out. There is a sea foam green chair in the corner and windows all the way around the room. The walls above the bed are decorated with more parrots and a Mexican tapestry design. The room also has a large dresser and closet where you can store your clothing. There is a bathroom off of each bedroom with a ceramic tiled single mirrored sink vanity, walk in ceramic tiled shower and a commode. The home comes with a stereo in the living room so that you can listen to all your favorite tunes. The home has cold AC and ceiling fans throughout. 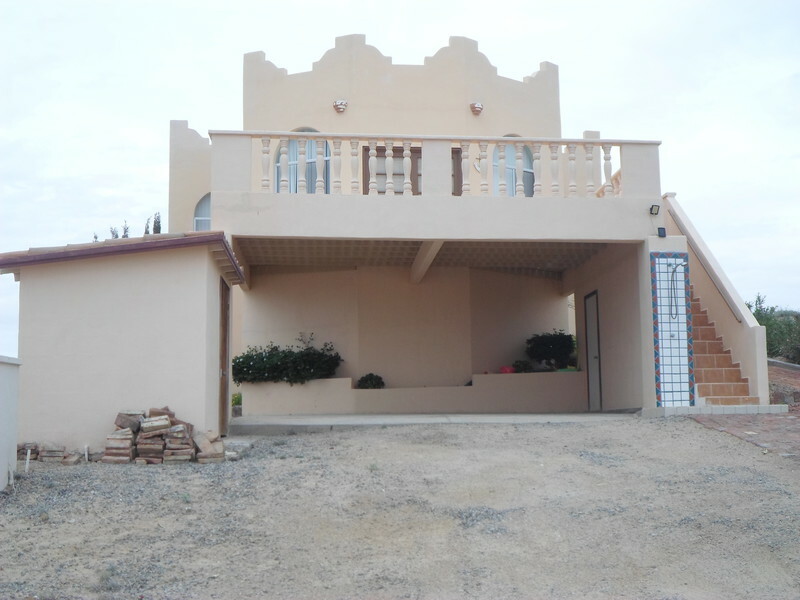 You will not be disappointed with this very comfortable home inside the Las Conchas housing development.